Pitching always dominates in post-season baseball. At least that has always been the prevailing wisdom from the major leagues right on down to the local sandlots. It is simply another way of saying that a good defense will usually find ways to stymie just about any potent offense – at least most of the time. On the opening night of Occidental League quarterfinals action it was definitely skilled pitching – with a small boost from some timely clutch hitting – that was the clear order of the evening as hometown Industriales edged Cienfuegos 2-1 and visiting Sancti Spíritus jumped out in front of Matanzas by a deceptive 6-1 count. The early game was a true pitching classic while the nightcap was a much closer affair than the scoreboard might suggest. Player of the Day: Eriel Sanchez struck the big blow that has erected an early road block in front of the Matanzas post-season parade. In Havana respective aces Odrisamer Despaigne (league strikeout leader) and Norberto González (the island’s best left-handed starter) locked horns in a double-pronged masterpiece before more than 27,000 patrons in historic Latin American Stadium. The just-concluded 96-game National Series season headlined numerous batting feats and was far more noted for offensive heroics than for defensive artistry. But all that changed last night. On the more pressure-packed stage of the post-season two stellar starters combined to provide a true rarity in modern-era baseball – a pair of nine-inning complete game outings in which neither manager had to make even a single call to the bullpen for relief. Industriales manufactured an early 2-0 lead against González on the strength of a pair of run-producing singles by Frank Camilo Morejón (second inning) and Carlos Tabares (sixth inning), but only the first tally was earned. What turned out to be the game-deciding margin in the sixth came after an inning-opening error by Cienfuegos second sacker Darian González allowed Rudy Reyes to reach base with the eventual winning tally (produced by Tabares’ two-out single). The Elephants managed to narrow the gap in the seventh when Erisbel Arruebarruena singled to center and continued on to second after Tabares bobbled his outfield roller; two batters later a Pavel Quesada single produced the game’s second unearned tally. On the night winner Despaigne faced only one batter over the 27-man minimum and struck out seven while walking only a pair. It was precisely the kind of effort manager Lázaro Vargas needed from his top righty to silence the normally potent Cienfuegos lineup. Except for one mighty swing from Gallos veteran catcher Eriel Sánchez the contest in Matanzas might have been every bit as tight. Starters Ismel Jiménez and Yohan Hernández remained locked in a 1-1 nail-biter through five frames before Hernández worked himself into a tight spot in the visitor’s half of the sixth. 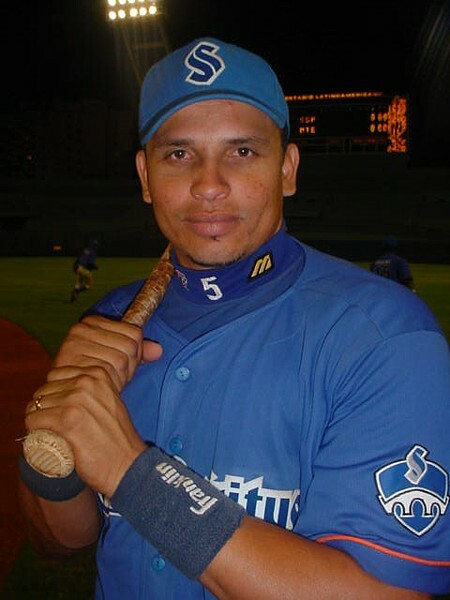 After Yunier Mendoza singled and Yulieski Gourriel doubled with one out, manager Victor Mesa decided to issue a free pass to Freddie Cepeda and take his chances with Eriel Sánchez. It proved to be a fatal tactic. The powerful catcher took advantage by lining the first pitch from Hernández into the left field seats for a grand slam homer that instantly turned a gripping pitchers’ duel into a dull one-sided affair. Ismel Jiménez (the league’s top winner with 17 regular season victories) coasted through the final innings and picked up his 18th win on the strength of a five-hit complete-game effort. The lone Matanzas tally came via a solo shot in the fifth struck by catcher Lázaro Herrera. It was a disappointing night for the Matanzas faithful who turned out for the ball club’s first-ever post-season appearance. And the Matanzas crowd itself was in the end one of the night’s largest disappointments, since only slightly more than 15,000 loyl patrons passed through the gates of Victoria de Girón Stadium for the historic event – leaving more than 10,000 surprisingly empty seats.